Ian Harford and Steve Wild return to the magnificent Alaskan wilderness for another epic hunting adventure. However, this trip will be slightly different. This time Ian will be self-guiding and Steve will be accompanying him. 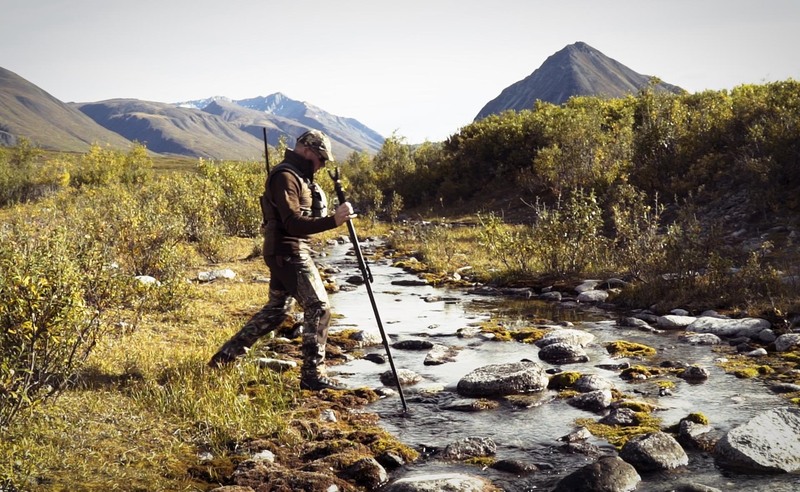 Welcome to the Self-Guided Hunting in Alaska on Team Wild TV. Revelation Mountain Outfitters guided Ian and Steve a year ago where they spent several weeks amongst the difficult, yet stunning surroundings of Alaska. watch the full series. This time they decided to do things a little bit differently, self-guided hunting offers new opportunities, but also new challenges. Ian and Steve begin their journey into the Alaskan wilderness around 110 miles north of Anchorage. An entire years meticulous planning and preparation has finally led them to the start of their epic journey. Every item of equipment has been carefully chosen for its specific purpose and to keep the weight to a bare minimum – there’s simply no space for superfluous gear. After arriving by plane into what will be their home for the next few weeks by their bush pilot Cole Hawkins of Hawk Air Alaska, Ian and Steve begin their first task of setting up camp and building shelter. They are greeted by clear skies and bright sunshine, however, the weather in Alaska is very changeable. Warm and sunny one moment could soon turn into dense fog and torrential downpour. With camp finally set up, Ian and Steve head up onto the ridge and glass over the topography. The beautiful afternoon sunshine belies the very hostile nature of this environment. Here they must keep their wits about them and prepare for the worst that Mother Nature can throw. It’s a surreal experience for Ian and Steve to finally be back in the wilds of Alaska and focus is now very much on the challenge ahead. Next week on Team Wild TV Self-Guided Moose & Caribou Hunting in Alaska – Episode 2: Two Magnificent Bulls! After nearly of preparation, Ian and Steve head out into the wildness and begin their self-guided hunting adventure.